Walk you through the collaboration flow. A managed project is stored in the SOLIDWORKS PCB Services or the Vault/Nexus. This service not only provides a level of version control to keep both the electrical and mechanical sides in sync, it alos assists the translations to allow both Altium Designer and SOLIDWORKS CAD to operate using their native formats. 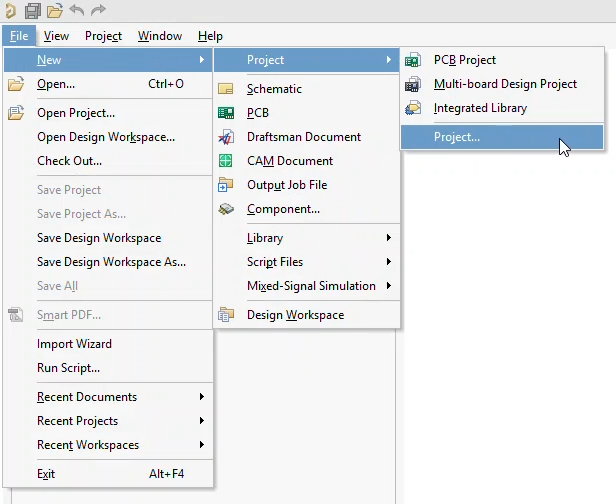 This video is specific to taking an existing project and converting it to a managed project. The project itself cannot be a copy from another managed project nor can it be a project that was copied out of another Subversion (SVN) checkout directory. 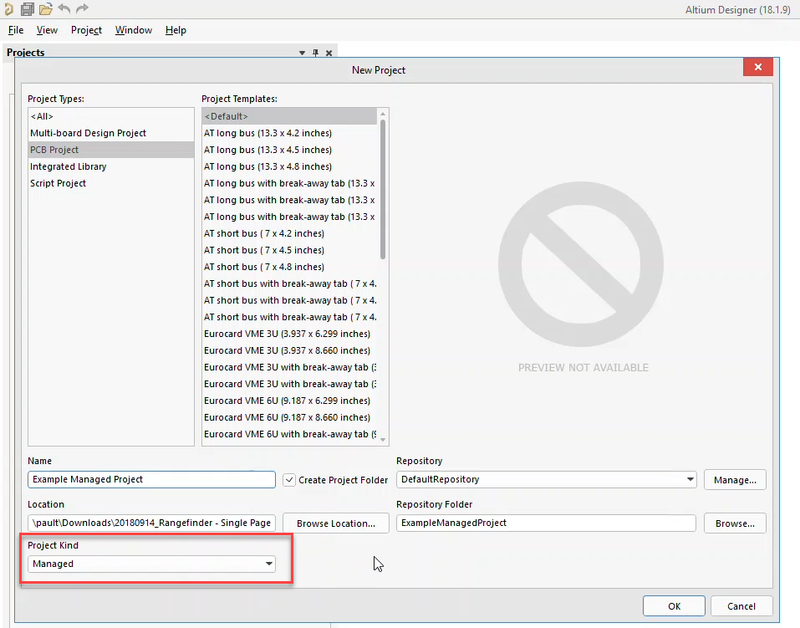 To start with a clean copy, use the Project » Project Packager to bundle the project. This bundle will have a clean .prjpcb without any residual files that may impact the ability to turn the project into a managed one. The name provided in the Name text box will become both the name of the .prjpcb and the name of the project directory in the SOLIDWORKS PCB Services (or Vault/Nexus). Note that the dialog box uses the generic term ‘repository’ to represent either the SOLIDWORKS PCB Services or Vault/Nexus. The Location text box is where the project will reside locally. This is the checkout directory where files of the project will be created, edited, and eventually pushed to SOLIDWORKS PCB Services or Vault/Nexus by the user.